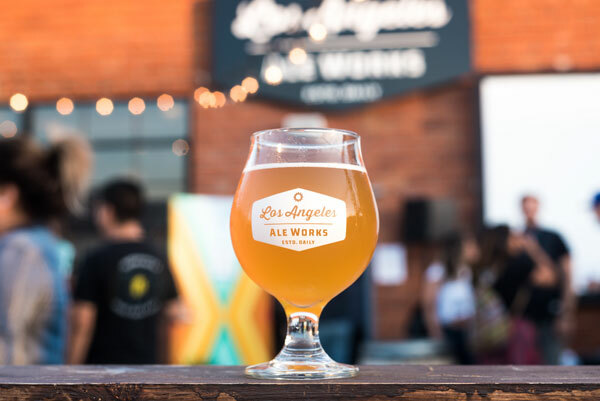 Los Angeles County is on a meteoric rise as a region home to a thriving craft beer community sprawled amongst its iconic metropolis. Breweries are as diverse as L.A.’s multicultural populace. 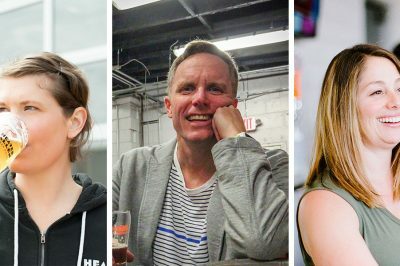 From the South Bay and Downtown L.A. to the 818 of the San Fernando Valley and the 626 of the San Gabriel Valley, it’s not hard to find an up-and-coming or established brewery whose taps are showcasing their own take across a range of beer styles — not just signature West Coast IPAs, but easy-to-drink pilsners and lagers to American and English-style ales. But what about those breweries where you can sit back and enjoy a cold one alongside your kids? Here’s a nonexhaustive roadmap to 10 family-friendly Los Angeles County breweries sure to compliment a fun outing. 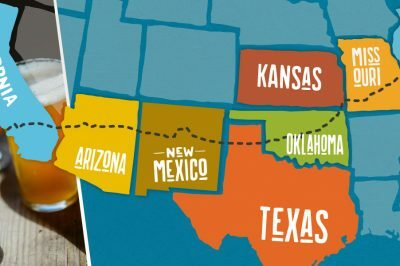 Inspired by his many sojourns in Belgium as part of his business importing candy-sugar for U.S.-based breweries, not to mention an outright love for the country’s beer, Brian Mercer decided in 2010 to start contract brewing Belgian-inspired beers at breweries dotted up and down the Golden State. Teaming up with Dave Holop, a lawyer at the time who brewed out of his house, after a chance meeting at Los Angeles Beer Week in 2013, the pair of homebrewers spent the next few years renovating their 26,000-square foot space until March 2016 when the brewery finally opened the doors to its two warehouses in San Pedro. With an outdoor courtyard in front of the two warehouses that spans 15,000-square feet, the brewery is perfectly tailored for families. The outdoor courtyard is often used by kids for riding bikes and scooters. Food trucks cater daily through the brewery offers pretzels and beef jerky to nibble on. While mom and dad can choose from an array of beers on tap, sodas, juices and water are available for the little tykes. On either Saturdays or Sundays, the brewery also hosts a dessert food truck which dishes out donuts or ice cream or frozen yogurt. Brouwerij West is also pet-friendly. Laurie and Jonathan Porter, the husband and wife team behind Smog City Brewing Co., have been crafting a diverse array of beers since before opening their doors to their Torrance warehouse in April 2013. Since 2007, Jonathan Porter had been developing his chops for brewing great beer while working at Tustin Brewing Co. (TBC), a brewpub located in Orange County. Upon realizing the explosive growth and enthusiasm for Los Angeles craft beer, he and Laurie decided to strike out on their own. 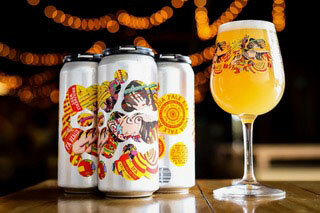 An agreement with TBC allowed the duo to brew their own beer, Smog City, out of TBC’s excess capacity. With a distribution license in hand, the pair forged ahead into L.A.’s nascent craft beer industry. As its name suggests, “Smog City” stems from L.A.’s once notorious air pollution that, in decades past, blanketed the city and surrounding region in thick, black smog which led to L.A. being nicknamed Smog City. It took groundbreaking environmental standards across the spectrum, aided by emissions reductions from the Clean Air Act, for Los Angeles to shed its dreaded nickname. Sunny Los Angeles has never looked so good. 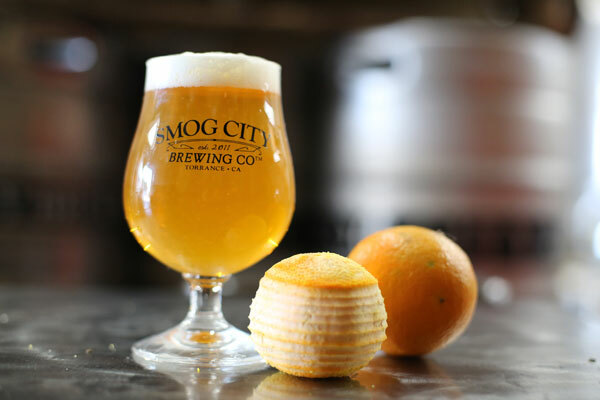 Even from the get-go, Smog City was unfazed by the negative connotation that may have been associated with its brewery. In fact, they have embraced the evolution of L.A.’s environmental transcendence through its logo: a California Cypress whose roots drop down to form the skyline of the City of Los Angeles. And with a newly-built sun-covered patio complete with family-style picnic tables, outdoor lights and plenty of space to spread out, provides for an ideal ambiance for families to enjoy the Mediterranean climate accustomed to the South Bay area. Smog City offers kids plenty of snacks from Long Beach beef jerky to nuts and pumpkin seeds. Food trucks also cater outside the brewery. Adults and children alike can enjoy the many coloring activities that make full use of the brewery’s label art, designed by a children’s book illustrator. Grab a bucket of coloring pencils and markers along with a few sheets of line drawings and let the creative juices flow. For you busy moms out there, say hello to your new best friend, a coffee porter that is delicious from the first sip to the aftertaste that manages to taste more like cold brew coffee than a traditional coffee porter. 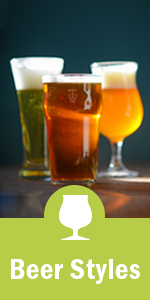 And for all you dads, try out the Smog City IPA, a finely-balanced, refreshing West-Coast-style IPA. Raising $40k on Kickstarter was a watershed moment for co-founder Kristofor “Kip” Barnes and his vision for one day opening up a brewery in L.A. Along with college pal Andrew Fowler as managing partner, the duo started out tenant brewing at Ohana Brewing Co. in Downtown L.A. for nearly a year-and-a-half. Perfecting their craftsmanship and validating their concept in order to pitch outside investors on supporting their endeavors eventually turned out to be a dream-come-true for Kip. Setting up shop nearby to SpaceX headquarters in Hawthorne, Los Angeles Ale Works opened for business in February 2017 in a former brick and mortar warehouse once owned by aerospace giant Northrop Grumman, who had used the 10,000-square foot space for its manufacturing efforts during WWII. The brewery is neatly laid out with an open floor plan that is akin to a family-style pub. It also has an outdoor patio. And it’s not just SpaceX employees who have found L.A. Ale works to be part of the fabric of the Hawthorne community. The brewery has made it a point to reflect the diversity of its surrounding populace and visitors by ensuring it features a range of beers and beer styles at varying price-points to encourage a more communal experience no matter what walk of life you come from. While mom and dad are covered on the libations front, the brewery offers a variety of soda pop and Aqua Fresca for the kids along with snack items. You are welcome to bring in your own food and non-alcoholic beverages but keep in mind that the brewery is well-known for its acclaimed food truck rotation, which happens Tuesday through Sunday. “If you don’t buy from me you’re losing money!” For anyone who was born and raised in Los Angeles and remembers the 90s, Crazy Gideon no doubt caught your attention with his outrageous commercials depicting his wild antics, filmed inside his electronic warehouse. In one such commercial, he tosses an old black and white television tube into an apparently brand new flat screen tv as he screams into the camera, “I’m bragging the competition.” He’s a character, take my word for it. Turns out, that very warehouse is now home to Arts District Brewing Co. which became the first brewery to open in the namesake part of Downtown L.A. in December 2015. Ryan Lenzo of Blue Palms Brewhouse on Hollywood Boulevard teamed up with 213 Hospitality with the goal of opening up a brewery in the city which would be known for its craft beers but also making great cocktails. 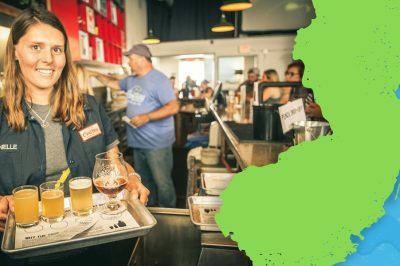 Hiring Devon Randall out of San Diego’s Pizza Port brewpub in Solana Beach, herself an award-winning brewmaster, catalyzed Arts District Brewing Co’s early success and foundation built with Los Angeles craft beer drinkers. The brewery is contained in a 17,000-square foot space complete with a taproom with 25 beers on tap, a backroom nicknamed “the study” that is a quiet spot to go when the decibel level inside the taproom gets too high, an outdoor patio decked out with plenty of tables and tabletops to hang out at and where corn hole matches take place along with Jenga. And if that’s not enough, the brewery serves up a strong menu of serious bites. Arts District Brewing has a lot of quintessential qualities catered towards families. You’ll find pinball and vintage Skee ball machines, a photo booth and arcade games. Its food menu offers plenty of options for even the pickiest kids who have their choice of drinks ranging from ginger beer and soda pop to lemonade and water. The brewery is also pet friendly. Throughout its history, Los Angeles has held firm as a captivating destination, home to an encompassing spirit in its populace of can and do. L.A. has always been that town; continuing to boom beyond conception. It’s a story yet to be complete. 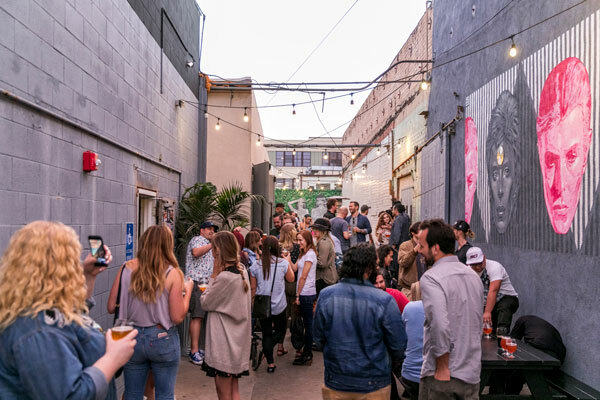 Founded by John Rankin, Charles Lew, and Alex Kagianaris with head brewer Samuel Chawinga, Boomtown Brewery deliberately chose to set up shop in L.A.’s Arts District as it’s a quintessential hub of creativity representing a fusion of past, present and future artists. 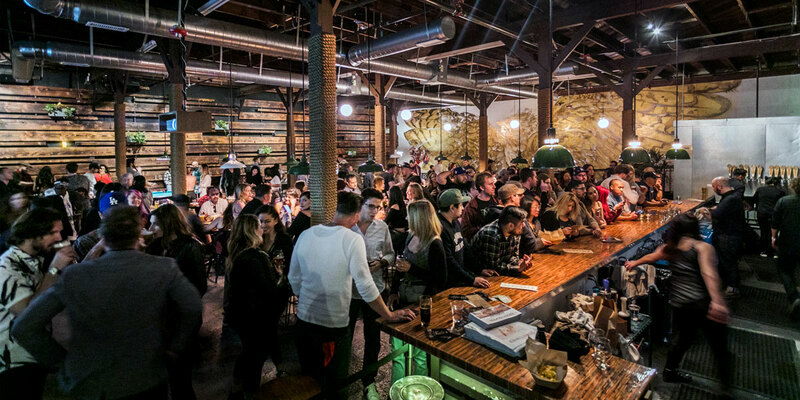 The opening of their taproom in February 2017 marked Boomtown’s ascendance onto L.A.’s craft beer stage, not to mention a coming out of sorts in the downtown community. Brewing classic, old-world-styled beer with some modern touches and refinements, compliments the overall hospitality and welcoming feel, the brewery instills and devotes itself to. Boomtown invites families to come in, hang out and have a good time while enjoying any one of their 18 beers on tap. Kids can sip on lemonade or soda. A revolving door of food trucks caters outside the brewery weekly, although customers are more than welcome to bring in their own food and non-alcoholic drinks. At 8 p.m. it might be time to take the kiddies home as the brewery transitions from its relaxed, daytime vibe to a more lounge-like feel catered towards adults. The brewery hosts several family-themed days throughout the year, including on Mother’s Day and Father’s Day. 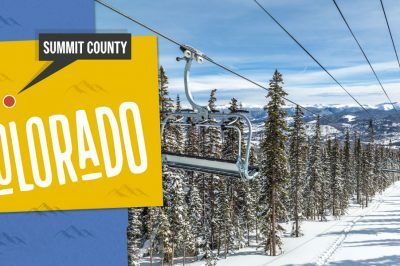 Boomtown puts on a carnival-like day of activities that the whole family can enjoy. The list of fun-filled entertainment ranges from a petting zoo and face painting to a bouncy house, build-your-own-s’more and mini golf. Opened by co-founders Shawn Nemanich and Mike Reiling in December 2016 in a hot rod shop-turned brewery, Mt. Lowe Brewing Company’s name and aesthetics are an homage to the industriousness and heritage of the Mount Lowe Railway engineered by Thaddeus Lowe and partner, David Macpherson. The now-defunct Mount Lowe Railway was at one time heralded by savvy railroad marketers as the “Grandest Scenic Trip on Earth.” It was built at the end of the 19th century, taking riders from Pasadena and the surrounding enclaves up 5,300 feet into the San Gabriel Mountains to Echo Mountain – now a popular hiking destination boasting incredible views of the L.A. Basin, Downtown L.A. and the Pacific Ocean. Mt. 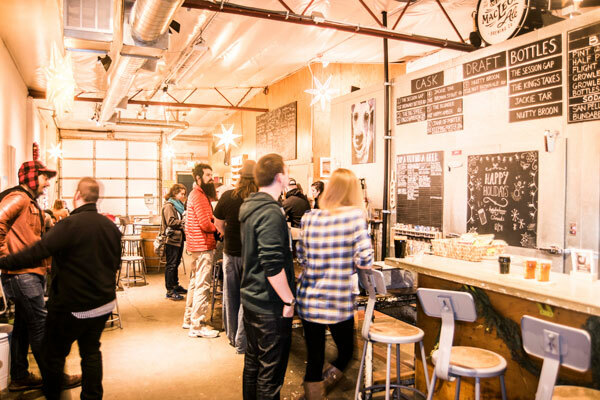 Lowe Brewing Co. is an easy-going spot to bring the kids (and dogs). Board games, air hockey, foosball and ring toss are there to entertain you. Keep an eye out for movie days, food trucks and face painters. Mt. 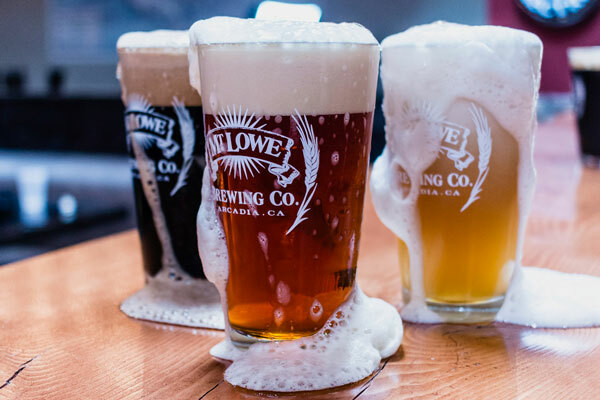 Lowe is also in the early stages of developing a “kids flight” which would be a new take on root beer and cream soda in addition to slushies. Patrick Dunn, brewer and co-owner of the family-owned Lincoln Beer Co. in Burbank, spent three years working in the film industry. It was enough time for him to realize two very important points. First: the film industry wasn’t for him and is certainly not the most desirable industry for someone to work in with a blossoming family at home, and second: homebrewing on the side and seeing great success with his brews made him tremendously happy. Leaving his job in Hollywood to pursue craft brewing full-time was a no-brainer. With the financial backing of his father, Patrick, and his wife Laura – who heads up the brewery’s business operations and is co-owner – began self-distributing their beer in 2016 before opening up shop nearby Hollywood Burbank Airport (formerly Bob Hope Airport) in November 2017. It wasn’t all peaches, however. Originally conceived as a microbrewery to be run out of a shipping container in an empty parking lot located off Lincoln Boulevard in Santa Monica, the outrageous cost of purchasing the land in Santa Monica coupled with the number of years it would take to make this concept a bonafide reality, made for an easy decision to look elsewhere in Los Angeles. Patrick was already sold on naming the brewery Lincoln Beer Company, despite not actually being located in Santa Monica. Part of its charm is how the brewery pays tribute to the 16th American president, Abraham Lincoln, in a series of creative ways from using Honest Abe’s tophat – a beer on top of a coaster – to naming several of its beers such as the date of Abraham Lincoln’s inauguration “1861” and “Springfield” where the president and his wife had once lived. The Dunn’s are parents of four children and made it a point of ensuring that their brewery is family-friendly as well as dog-friendly. Complete with Melissa & Doug puzzles for kids, board games, corn hole and a dart board, the brewery also stocks snacks for the kids including People’s Choice Beef Jerky which is handmade in Los Angeles, gummy bears and an assortment of non-alcoholic beverages in addition to soda. Food trucks cater in their parking lot. What happens in Vegas typically stays in Vegas. Unless you’re high school buddies Sherwin Antonio and Kirk Nishikawa, co-founders of Brewyard Beer Co., who promised each other one not-so sobering night while out on the Strip that they would start a brewery together. 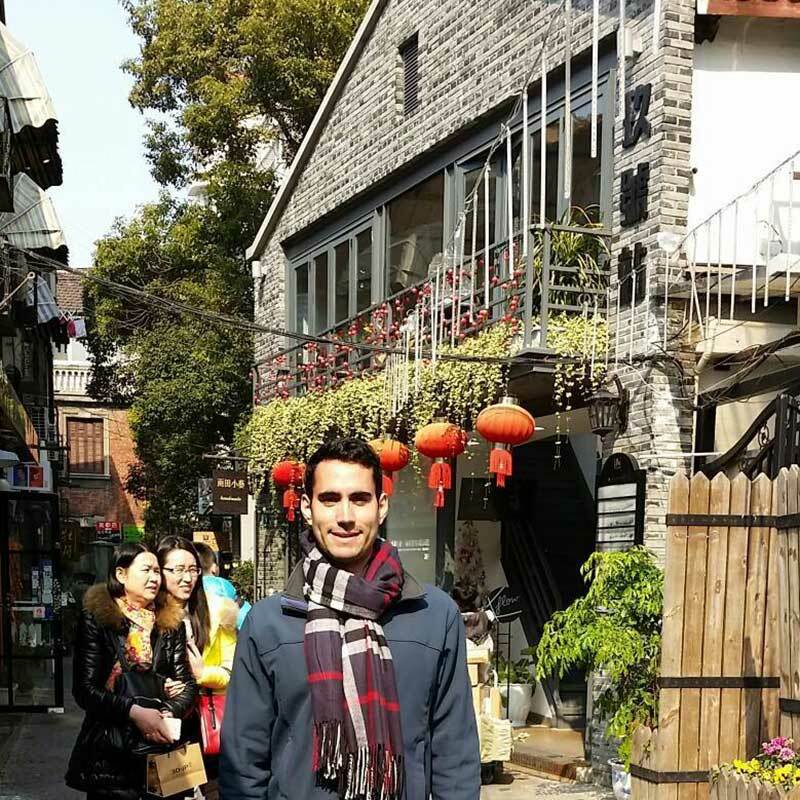 Antonio’s experience and success as a homebrewer combined with Nishikawa’s passion for craft beer became the essential ingredients for making their promise and aspiration for opening up their own brewery a reality. Opened in December 2015 in a renovated warehouse with an open floor plan, the brewery is cleverly designed to replicate post Prohibition Americana. 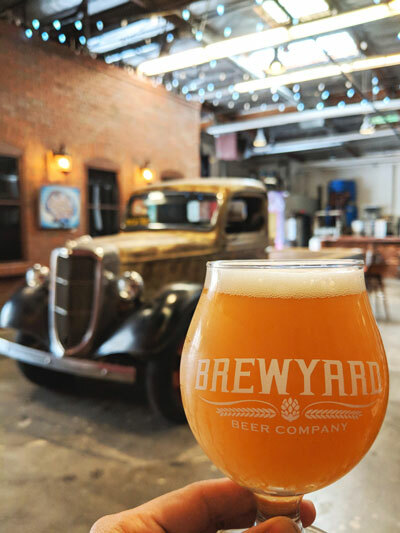 You can find a fully-functioning 1936 Ford flatbed truck that doubles as a drinking table parked inside nearby the entrance, across from the brewery’s 10-handle tap, and adjacent to the facade of a mock loading dock, that seamlessly transports you back to the 1930s. Brewyard serves California Common-style beer which is a lager-based beer that is brewed like an ale, albeit at a much higher temperature which in effect, draws out more flavor for a lighter and crisper lager finish. Add in the beats to unmistakable 90’s hip-hop music and you’ve got yourself a fun visit. Brewyard has plenty of board games on hand to keep the little ones occupied while a mural-covered wall located in the back of the brewery offers a creative outlet for kids to color and draw on. Pretzels and ice-pops are offered free-of-charge and with a polite ask to either Antonio or Nishikawa, kids are allowed inside the Ford flatbed that doubles as a photo booth. Jennifer Febre didn’t know what to do after the dust settled on her divorce. She thought about opening a cupcake shop or an art gallery. Even dog walking seemed like a nice alternative to the placid office environment she feared would be the inevitable way to make a new living. Not in the slightest. Resulting from her participation in the Pasadena Scots — a competitive, well-known bagpipe band which competed in events at locations nearby craft breweries — inspired her to take the plunge and self-finance a brewery. The casual, relaxed atmosphere of Macleod is perfect for families and their four-legged friends. 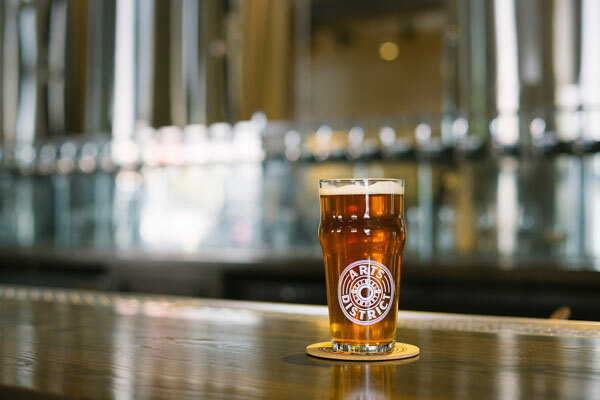 The brewery boasts board games, corn hole boards outside on the patio and seven dart boards as the brewery hosts tournaments and a league at its versatile space. With a rotating mix of food trucks, peanuts in the shell are offered for free and kids can sip on soda or water while mom and dad enjoy a pint of authentic, English cask ale or one of the breweries nitro or draft beers on tap. 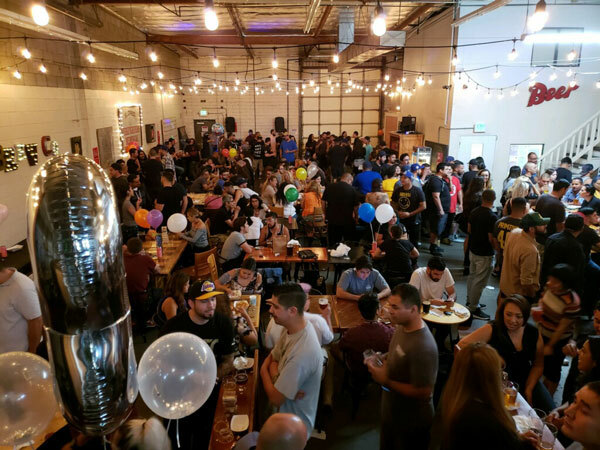 San Fernando Valley Brewing Co. opened in July 2015 by brothers Joe and Vic Chouchanian, who took it upon themselves to unite the communities of not just the “First City of the Valley” that being San Fernando, but the 1.8 million residents who call the San Fernando Valley home. It’s a tremendous source of pride and honor for the brewery to represent and host the populace of The Valley in its family-run, family-friendly brewery. Located in a former garment factory in San Fernando’s industrial park area, the brewery incorporates iconic Valley landmarks into the naming of its signature beers. For instance, Stoney Point Stout was inspired by the famous rock cropping in Chatsworth that is widely popular for bouldering and climbing. Likewise, O’Melveny Red Ale takes its name from one of the largest parks in L.A. found in Granada Hills that has numerous hiking trails that lead to scenic panoramic vistas of the valley. San Fernando Brewing Co. has a laid-back, communal vibe where both locals and those visiting from out-of-town rub elbows. It’s an environment that fosters new and budding relationships. Visiting with kids is easy-breezy. The brewery offers free pretzels and popcorn while on the liquid side, soft drinks such as root beer are available. While food trucks cater in the parking lot, you are welcome to bring in food and non-alcoholic beverages. Additionally, twice a year the brewery puts on a family day during the summertime and wintertime, where activities span from balloon and bubble artists to face painting and more. Coupled with local food vendors, an ice-cream truck and live entertainment, converge in a celebration of the community and local beer. 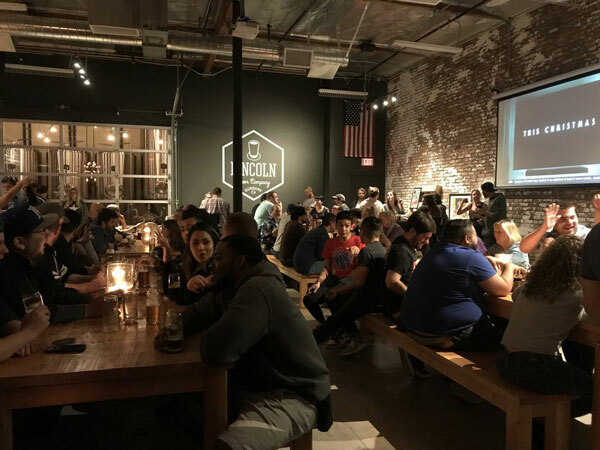 No matter where you and the kids find yourselves, rest assured that at each of the 10 Los Angeles County breweries listed will be happy to host you and the family. From as far south as San Pedro to as far east as Arcadia, to as far north as San Fernando and to as far west as Hawthorne, options are aplenty to enjoy your time while at a craft brewery with the kids in tow.